1950's. 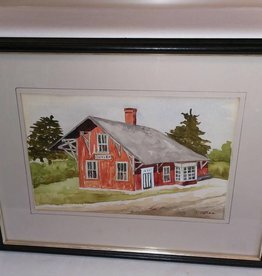 Watercolor, Cuyler, NY Train Station, by Kate O'Shea of Cortland,NY, framed & matted. Very nice local piece. 17x13"